Oil based body butter with soothing ingredients such as Shea, Cupuacu, Mango and Cocoa butters and Olive, Coconut and Jojoba Oils amongst others and skin loving essential oils such as patchouli and ylang, great for soothing irritated and itchy skin yet mild and pregnancy safe. Again with soothing ingredients similar to that above such as Shea, Cupuacu and Cocoa butters, Coconut, Safflower, Castor and Avocado Oils and no essential oils. Good for soothing baby’s dry, flaky, itchy and irritated skin. Based on the new & improved formula but without the wheat protein or glycerine as the customer has reactions to these particular ingredients. A rich and creamy hair butter made with Shea, Murumuru, Mango and Cupuacu Butters blended with Olive, Coconut, Avocado, Castor and jojoba oils finished off with Vanilla, Benzoin and Rosemary essential oils for a light vanilla scent. Utterly decadent!!! Definitely one of my favourites. A light oil spray with shine enhancing Broccoli Seed oil and nourishing Jojoba and Avocado Oils in a non-greasy Coconut base, perfect for adding shine to finished styles and controlling frizzy, flyaway hair whilst nourishing the hair and scalp. With essential oils of Ylang, Geranium & Orange. A nourishing burst of hydration for dry, thirsty hair and irritated scalp conditions. With nutrient rich Aloe Vera Juice, soothing Chamomile and Lavender waters and conditioning Honeyquat. Glycerine has been replaced with superb humectant and conditioning ingredient honeyquat derived from honey as the customer has allergic reactions to glycerine. So as you can see, you really can create a product to suit your needs perfectly. 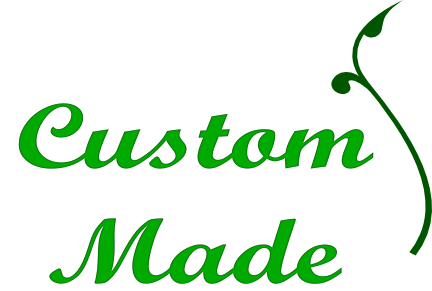 If you haven’t already done so, order your custom-made products today! To get started CLICK HERE. ← New Dia’s Basics Range–Available Now!